If you know me, you know I like to pinch my pennies. Seriously, I think my middle name is “half-off.” Of course, my father named me that—he is the master of savings. I even have the why pay full price attitude when it comes to my kids. Clothing, accessories, toys, you name it, I don’t pay full price. And usually, it works out. Except for that one time. It was after Christmas and I found some gorgeous Christmas dresses on clearance online. I even had a coupon for additional savings. Since I was ordering online, nearly a year ahead of time, I decided to order several dresses to see which ones I liked best for my daughter. The dresses arrived. A few were not as I pictured but there were three that I really loved. Loved so much that I couldn’t decide which to keep. Plus, I was not sure what size my daughter would fit in come December. The nice thing is that the store I ordered them from accepts returns any time. So, I could actually keep the dresses till December, then decide and return the ones I did not want or did not fit. In the meantime, being the busy, overwhelmed mother that I was, I asked my husband to run some errands for me, including returning the dresses that I did not want. Now, he knows I never throw receipts away, but just to be certain, I told him not to lose the receipt, that I would be returning more dresses that were on it. He totally doesn’t get it, but said okay. Along with the dresses, he had a couple other items to return to this store. When he came home, I asked about the receipts. He assured me that he had them and would give them to me. Eventually, he did and I stuffed them in my receipt folder. December rolled around and I have three Christmas dresses for my daughter. As she was about 4, she was starting to get picky. The one dress I loved, she didn’t like because it was itchy. So was another. But fortunately, she did like the third one. I gathered the other two dresses and put them in the bag. I opened my receipt folder and found a couple other receipts for this store, but not the one for the dresses! I looked everywhere, but never did find it. The hubs claims he gave them all back to me, but it wasn't with the others. Who knows what happened. So, although I had three dresses, I ended up paying what I would have if I had just bought one dress for full price in season. I never did find the receipt and the store wouldn’t take them without a receipt. I actually still have the two dresses with tags on them in the closet. One of these days, I will get around to taking them to a consignment shop. This was one time my frugality backfired! I was inspired to write this post by The Clorox Family of Toilet Products as they launch a fun new website celebrating the “most-used and underrated rooms in our homes—the bathroom.” The Clorox Lounge is turning the bathroom into the laughroom—a community hub for mom’s go-to place for comedy. Where else can mom go to get relief and some time to herself but the bathroom? The site is hosted by comedian and actress and mom, Sherri Shepherd. This bathroom is a fun place to visit with contests, giveaways, coupons and of course, comic relief. 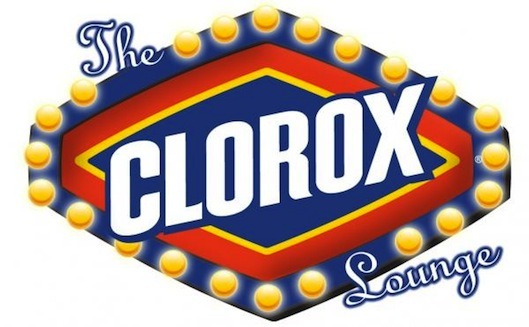 The Clorox Lounge activities kicked off with the Last Comic Sitting Sweepstakes, where you can not only vote on the funniest comic to get to sit on the throne, but you can be entered to win $10,000. 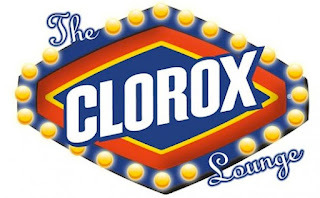 Simply visit The Clorox Lounge to be entered and get up to two additional entries each day by logging in and commenting until April 22, 2012. Disclosure: I wrote this blog post while participating in the SocialMoms and Clorox® blogging program, to earn My SocialMoms Rewards Points. The opinions and ideas expressed here are my own. To read more posts on this topic, click here.